I believe teaching kids to cook is an essential part of ensuring they develop healthy nutritional habits. 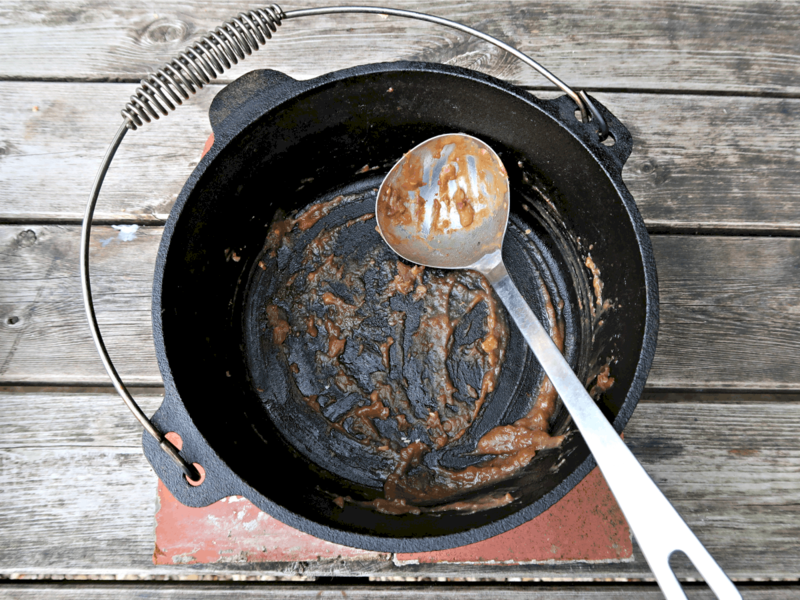 Here they learn how to make Campfire Beef Stew and Dumplings in a Dutch Oven over a fire. As parents, we all work hard to ensure our children get the best start in life, and that includes providing a balanced diet. Red meat has, of course, played an important part in the diet of man since we were hunter-gatherers but, in recent years, there has been some debate about whether too much red meat might, in fact, be harmful to our health. My kids love red meat – roasts, steaks and stews are all firm favourites. And frankly, in a world of convenience and processed foods both hubby and I delight in seeing them tuck into a traditional, home-cooked meal. So what is the current guidance for families here in the UK with regards to the consumption of red meat? The Meat Advisory Panel was set up to help provide some answers. Made up of a group of healthcare professionals, scientists and researchers, they are tasked with providing independent and objective information about red meat and its role as part of a healthy, balanced diet. They share lots of information on their site, and below is some of it that I find especially useful. Many people in the UK, at different life stages, have inadequate intakes of essential vitamins and minerals in their diet and this has potential health consequences. When looking at the 5-12 year age range (the category my kids fall in) diets were found to be low in vitamin A, magnesium, iron and zinc. Consumed as part of a balanced diet, lean red meat can make an important contribution to health and wellbeing throughout life by contributing a variety of nutrients to the diet which includes protein, iron, zinc and B vitamins, particularly vitamin B12. The Meat Advisory Panel suggests that we should aim to eat about 70g (cooked) of meat and meat products per day. On cooking, red meat loses on average about 20-30% of its raw weight meaning that a 400g packet of lean diced stewing steak is perfect for a family of four. I believe teaching kids to cook is an essential part of ensuring they develop healthy nutritional habits. 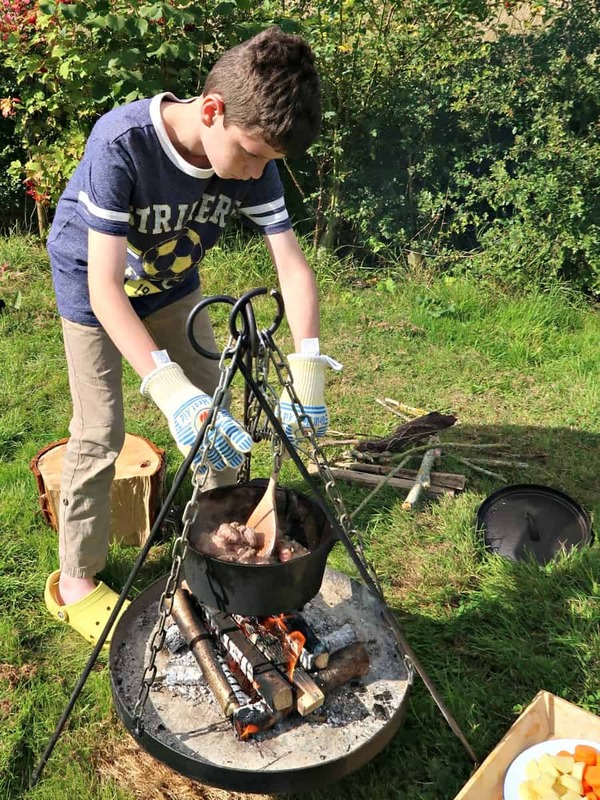 Campfire cooking is a brilliant way to make food fun and capture their interest. 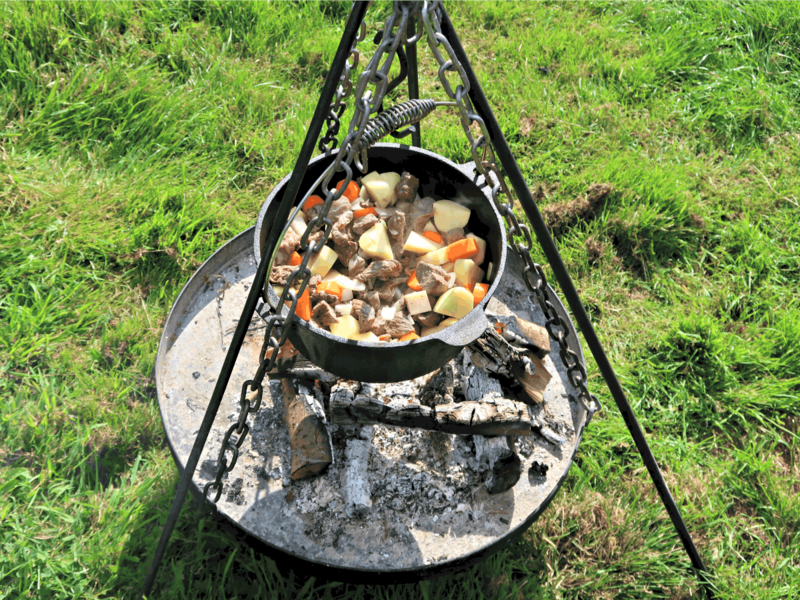 Below is our recipe for Campfire Beef Stew and Dumplings. Although it benefits from long, slow cooking it only takes five minutes to prepare which makes it perfect for busy families. It also works equally well cooked inside the house, but possibly doesn’t taste quite so good! Heat the Oil in your oven-proof dish and brown the meat. Add the onions and garlic and cook for a couple of minutes. Throw in all the vegetables, the stock cubes and enough water to cover the meat and vegetables. Bring to a simmer, cover and then leave to cook gently for 2.5 – 3 hours. The long slow cooking allows the onions to break down and results in a lovely thick gravy without the addition of any thickening agents. Mix your dumpling ingredients, shape into small balls and add to the top of your stew 20 minutes before it finishes cooking. Cover and leave to cook for the last 20 minutes. 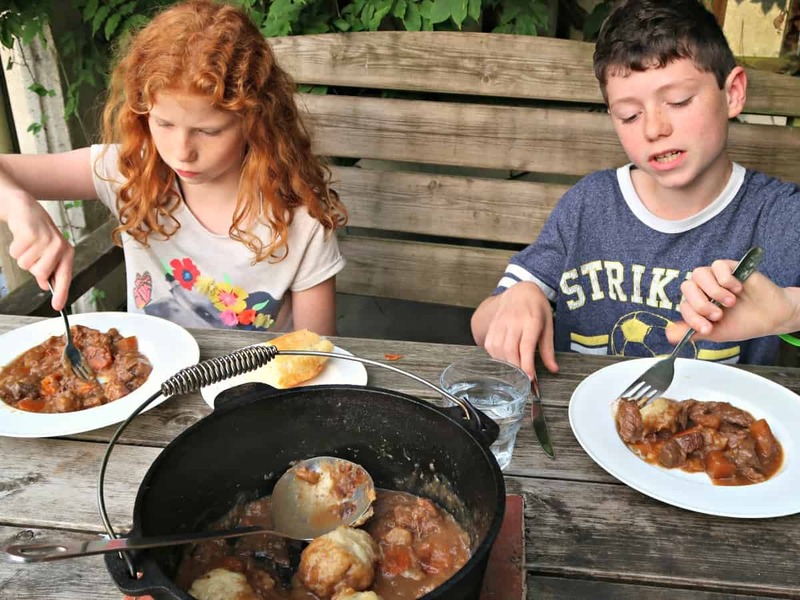 We think our Campfire Beef Stew and Dumplings is a fabulous, filling and affordable family meal. My kids love it, and it’s a brilliant basic recipe for the kids to be able to cook. And if you are wondering how it tasted – here’s a clue. 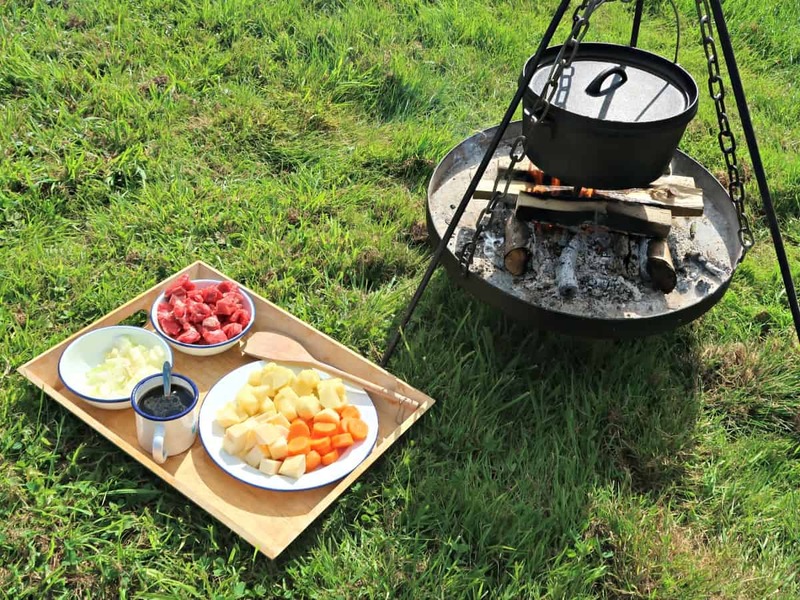 There’s nothing better than a meal cooked slowly over an open fire. In South Africa we make potjiekos at least once a month on the braai. I can’t wait to try your recipe next time Sarah. It sounds scrumptious. Thus looks delicious, and cooking out on an open fire makes it even better. I love red meat too, roast especially. But we try not to eat too much. But I would not ever pass up a good roast or pot of stew. Yum! Sarah that looks incredible. I love eating dumplings but have never made them at home. I will have to give your yummy recipe a try.